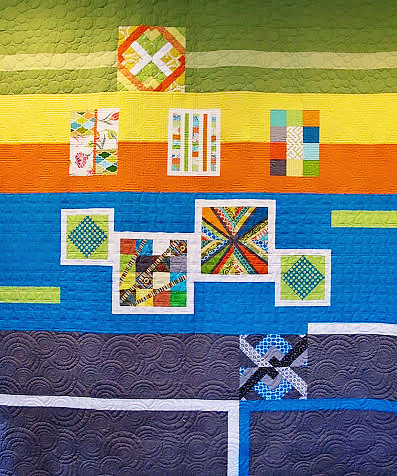 Austin Modern Quilt Guild: Help Us Bind Our Austin Children's Shelter Quilts! Help Us Bind Our Austin Children's Shelter Quilts! 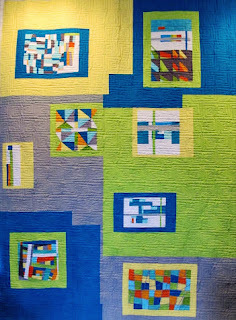 Our two QuiltCon Block Challenge quilts made for the AustinChildren's Shelter have been longarm quilted by Laura Brown of Quilt Lab (thank you Laura!) and are ready for binding to be sewn on. Jessica Pierre’auguste will be hosting a sewing day at her apartment near Parmer Lane and 620 on Saturday, Feb. 2nd at 2:00 pm. Please join us to help with the hand sewing of the binding and hanging sleeves for these two quilts! If you can attend, please email Jessica at communications@austinmodernquiltguild.com and she will give you directions to her apartment. There will be some snacks and drink options available, but feel free to bring something to share with the group! Let’s have a fun (and productive) afternoon to help the Children’s Shelter! 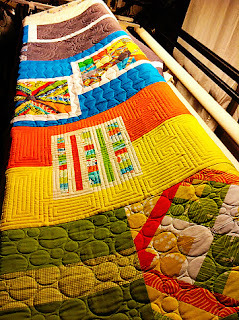 Laura did a great job on the quilting. 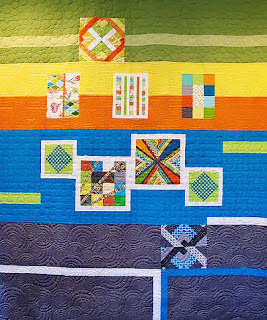 I totally agree - fabulous quilting, Laura!